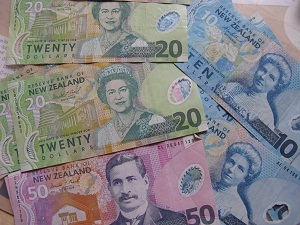 Thirteen billion dollars in wages are lost each year in New Zealand according to Ernst & Young’s New Zealand Productivity Pulse, the first study of its kind. The survey of 1,200 New Zealand workers measured their beliefs about the strongest hindrances to workplace productivity, as well as the opportunities that exist to improve it, in four key areas: organisation structure; technology; people and innovation. The vast majority of Kiwi employees appear to be satisfied with their jobs, and to feel valued by their employers; over three quarters (76%) are motivated to do their job to the best of their ability. However, there is room for improvement in terms of the factors that influence productivity. People management issues were most frequently cited as having the biggest influence on productivity, with 30% of respondents choosing this. Around one quarter (24%) named innovation, and slightly fewer (23%) chose organisation structure, design and operating model. While more than half of New Zealand workers (53%) agreed that further innovation would increase productivity, less than 45% thought that their organisation gave it adequate focus and attention. Similarly, while 39% do not believe that their organisation operated effectively, around the same number did not believe that their organisation’s leaders gave these matters adequate attention.